Here are some important facts and things to remember if you have a Guinea Pig. 1.) Guinea Pigs, if handled correctly early in their life, become amenable to being picked up and carried, and seldom bite or scratch. It will even sleep in your lap. 2.) These cute furry animals are timid explorers and often hesitate to attempt an escape from their cage even when an opportunity presents itself. 3.) These rodents, however, show considerable curiosity when allowed to walk freely, especially in familiar and safe terrain. 4.) Guinea Pigs are fantastic pets. Ones they become familiar with their owner they will whistle on the owner's approach. 5.) These small mammals will also learn to whistle in response to the rustling of plastic bags or the opening of refrigerator doors, where their food is most commonly stored. 6.) Guinea Pigs don’t like to be alone. They should be kept in pairs or, preferably groups. 7.) A Guinea Pig should be put in isolation only for reason of medical condition. 8.) A Guinea Pig in solitude is more likely to suffer from stress and depression. 9.) For the abovementioned reason, it is illegal in Sweden to sell a lone guinea pig to a buyer who does not have any other guinea pigs. 10.) 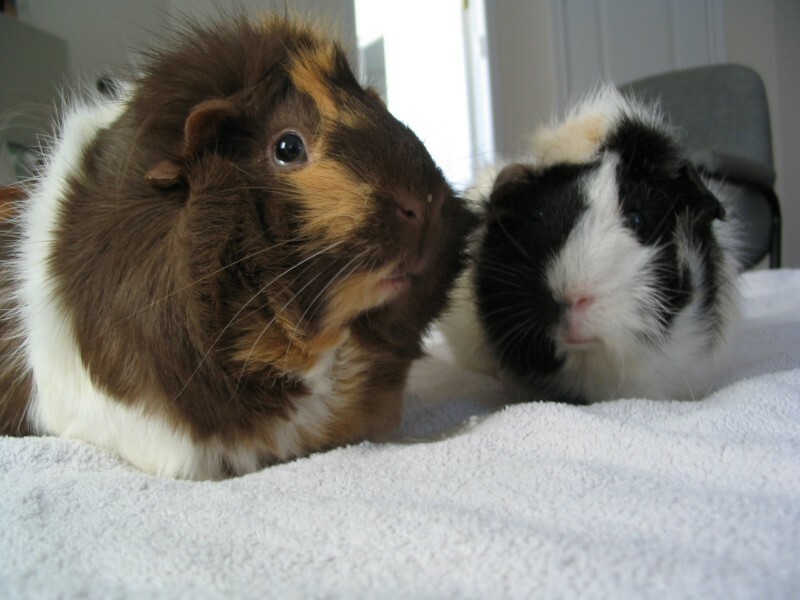 It is a common misconception that male guinea pigs cannot be kept in groups; male guinea pigs can make excellent companions, especially when introduced from a young age. 11.) Generally, aggression would only occur if there was limited space or resources or a higher ratio of males to females. 12.) Guinea Pig compatibility relies more heavily on personality than on gender. 13.) Guinea Pigs are not related to pigs at all. They are actually called Cavies. They eat a lot that’s why they were so named. 14.) Guinea Pigs originated in South America where they were domesticated by the Incas. 15.) The most common breeds of Guinea Pig includes the Himalayan, the Abyssinian and the Peruvian. Do other types of guinea pigs also chew on hair? But I'd also like to know if a common short haired guinea pig does this as a usual behavior too.